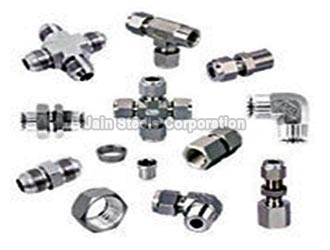 We are long engrossed in the exporting and supplying of Stainless Steel Tube Fittings. We are instrumental in offering excellent and durable Stainless Steel Tube Fittings that are sourced directly from the leading manufacturers. We make sure that the Tube Fittings are in compliance with the international standards and the dimensions are perfect and accurate. We test the Stainless Steel Tube Fittings on various quality parameters; thus ensuring the reliability.